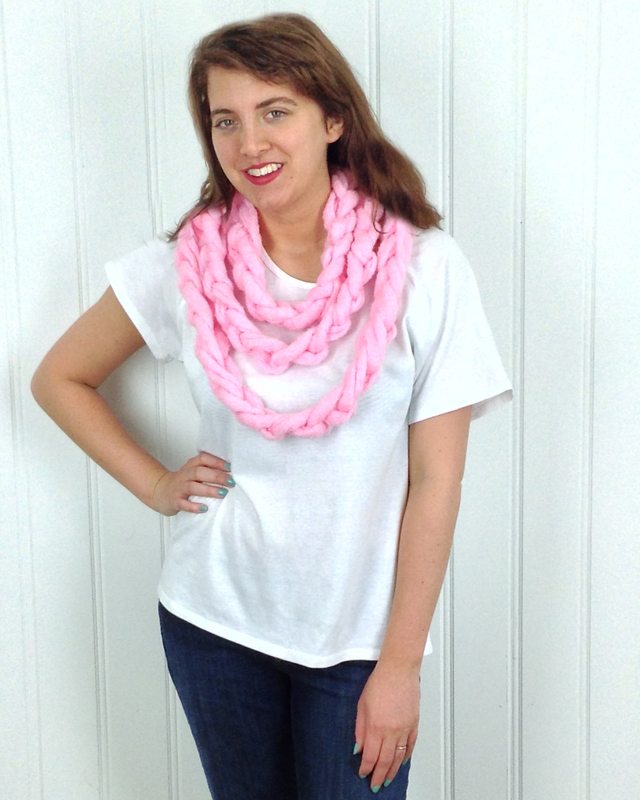 Every crochet project begins by making a slip knot to start a foundation chain (ch). 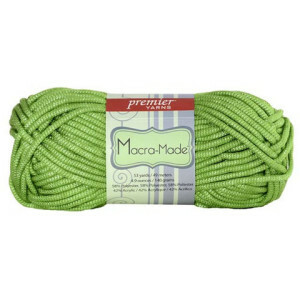 Make a slip knot by by holding the strand of yarn about 6 inches from the end. Bend the yarn just above the 6-inch measurement and hold it with your thumb and pointer finger in a loop. 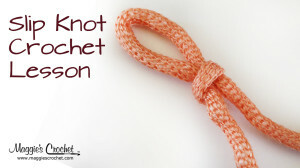 Insert the crochet hook through the loop and pull the tail through to the working area of the hook to create the slip knot. 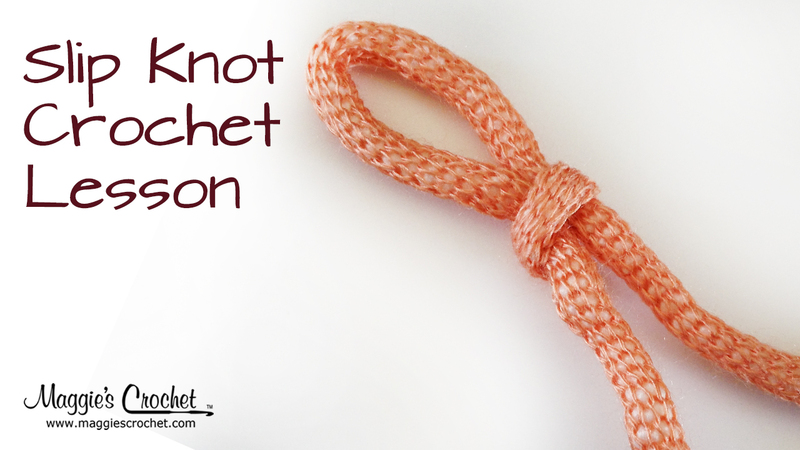 Pull on the yarn tail to tighten the slip knot loop on the hook to the desired size. 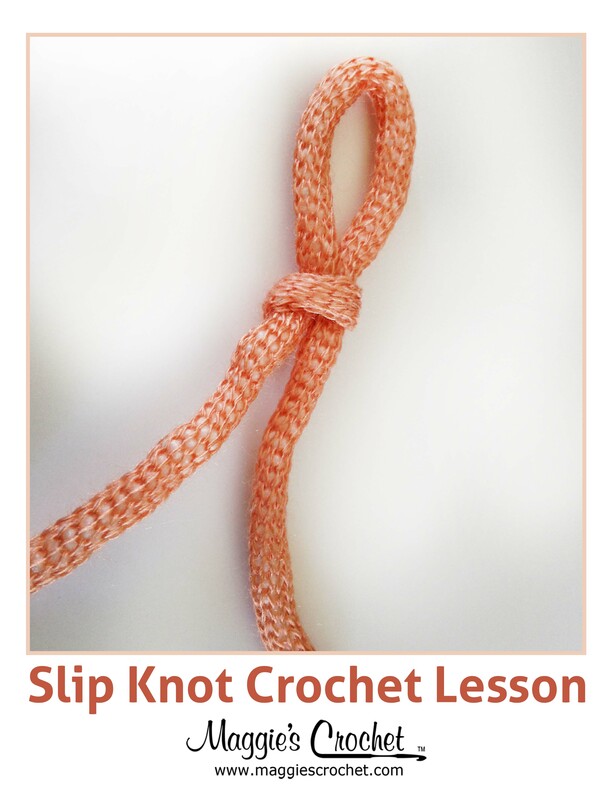 The slip knot should be loose enough so it slides easily on the hook. Make sure the yarn tail is at least 6 inches long. 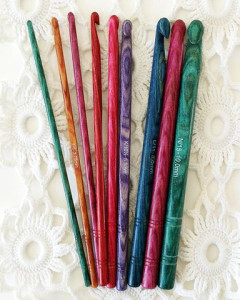 In a hurry to learn to crochet? 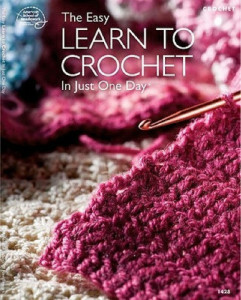 We have just the book you’re looking for: Easy Learn to Crochet in One Day! This book will teach you the basic techniques of crochet, and then get you started on your first projects. Easy-to-follow instructions are illustrated with large step-by-step diagrams. Don’t wait. 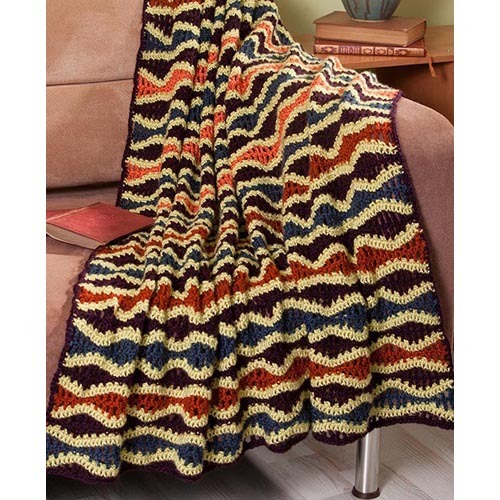 Buy this book, some yarn, and a crochet hook, and learn to crochet today!